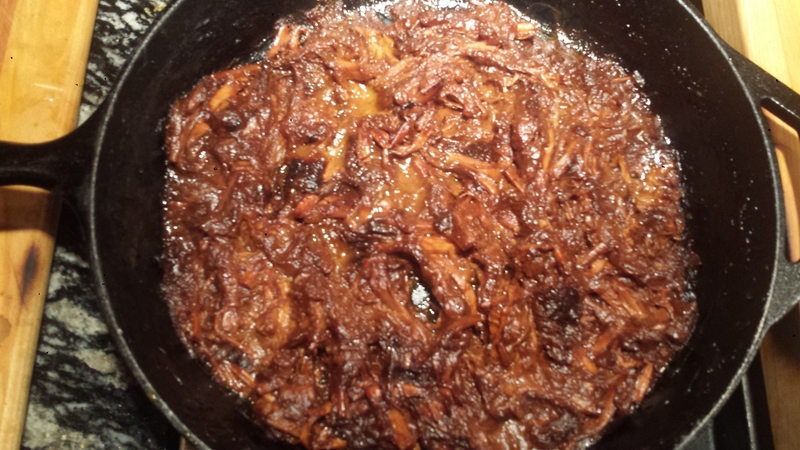 If you LOVE carnitas or pulled pork but want to pass on the meat, try this vegan version made with hearts of palm I know, it sounds implausible, but it’s really good and the texture is very similar to pulled pork but without the calories and the guilt. 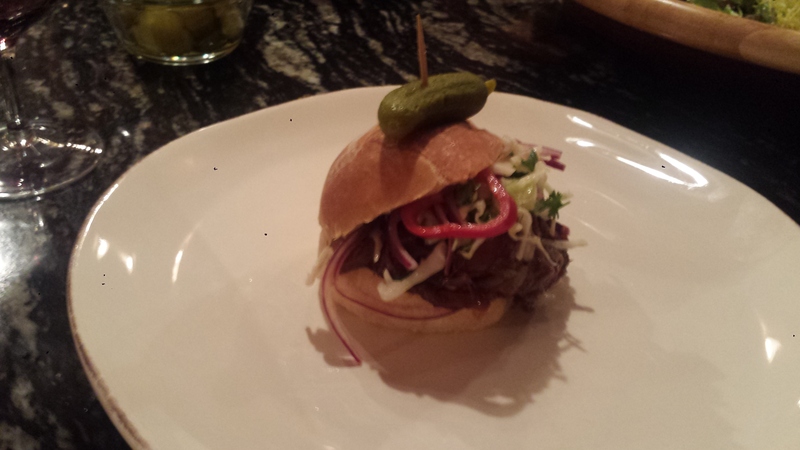 Piled high on a fresh slider bun and dripping with barbecue sauce, this pulled ‘pork’ is pretty delicious. You don’t miss the meat! It’s really all about the barbecue sauce, so choose wisely. You can go spicy, mild or sweet. The recipe below is for a slightly spicy barbecue sauce. You can also use a store-bought sauce and doctor it up with a bit of spices or hot sauce if need be. Pulled pork is often served with coleslaw whose cool and crispy tangyness is the perfect accompaniment to the warm and spicy filling. 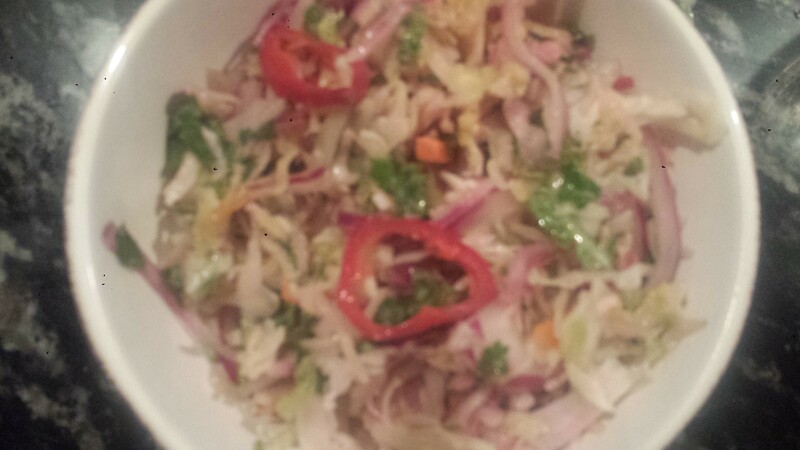 My husband really dislikes creamy foods, so I made a mustard and vinegar based slaw instead of a creamy one with mayo. 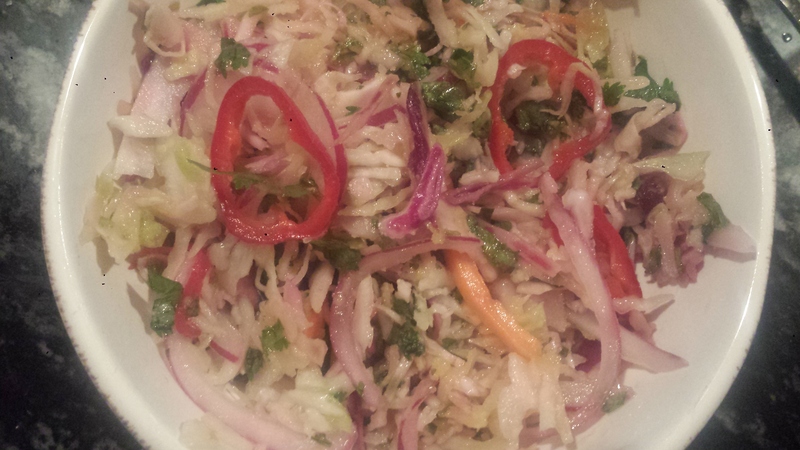 This slaw is fresh and a bit spicy with cabbage, carrots, cilantro and red onions with thinly sliced hot chili peppers to give it some pizzaz. 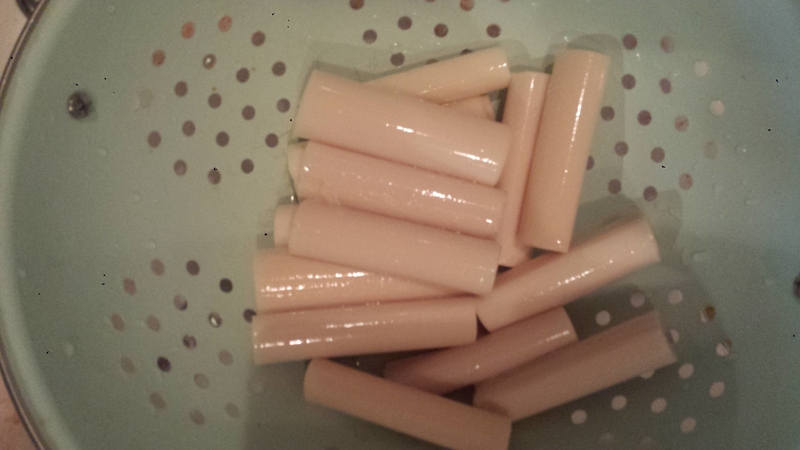 Or you can be a purist and just go ‘meat’ and bun… Yes, that is really hearts of palm. I have been wanting to try a version of this recipe for a while. I’m not sure where I saw the idea for the first time (probably on Pinterest) but I adapted this recipe from Blissful Basil although she used canned jackfruit which I have heard is also a good shredded pork/carnitas substitute but I have never seen jackfruit in grocery stores around me. TIPS: An easy short cut is to use a 16 oz bag of pre-shredded slaw mix which is available in most grocery stores instead of shredding all the veggies yourself. Add a prepared sauce and dinner is practically done! Combine cabbage, carrots, peppers, cilantro and scallions in a medium serving bowl. Whisk together the oil, vinegar, lemon juice, mustard, salt and pepper and pour over slaw. Toss to combine and set aside. Heat olive oil in a large heavy pan (preferably one that can go into the oven) over medium heat. 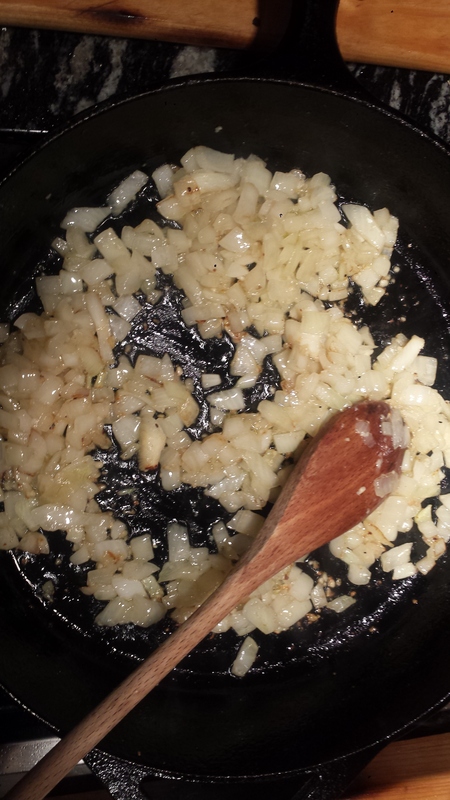 Add onion and garlic and sauté until tender (5-7 minutes). 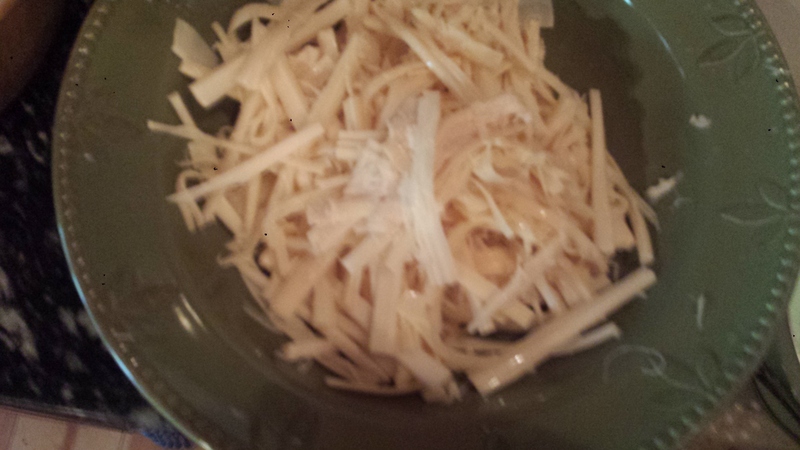 Drain the hearts of palm and shred using your hands or a knife. Add hearts of palm to the pan with the onions and garlic and sauté for 5-10 minutes. If making homemade sauce, combine barbecue sauce ingredients in a small bowl. Start with only one tablespoon of brown sugar. Taste and adjust seasonings. 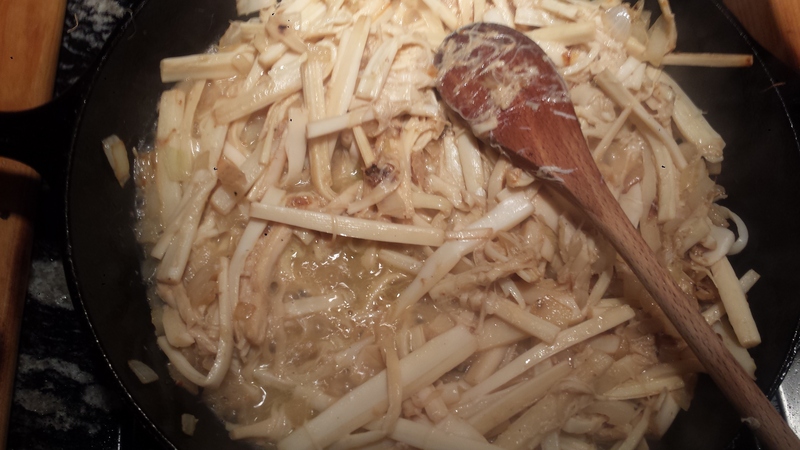 Stir the barbecue sauce and one cup vegetable broth (or water)into the hearts of palm mixture. Cover and simmer for 20-25 minutes or until tender, stirring occasionally to get the browned bits off the bottom. You can use a wooden spoon to break up the hearts of palm a bit more. If it gets dry add water or vegetable broth. Continue to simmer with the lid off for for another 10 or 15 minutes or place in a 350 degree oven to brown. 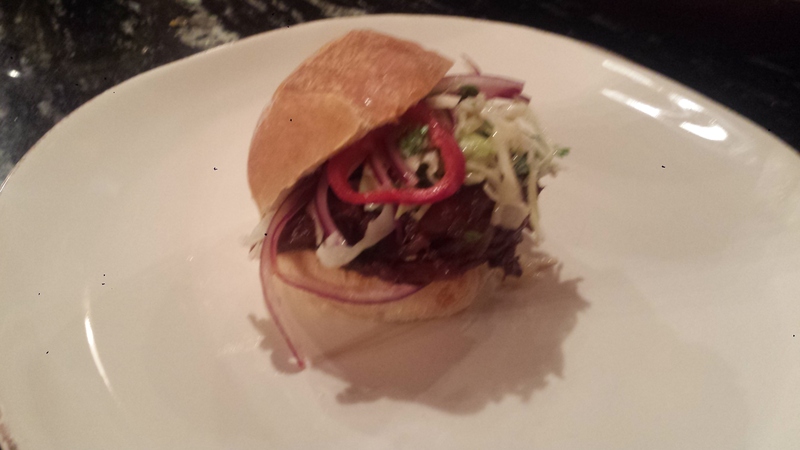 Fill each of the buns with generous spoonfuls of barbecue mixture and spicy slaw. 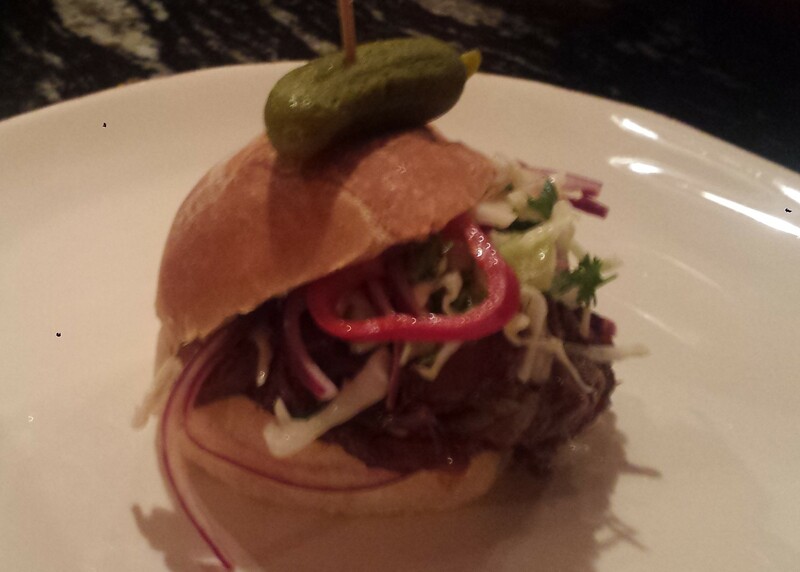 Top with pickles. Heat olive oil in a large heavy pan (preferably one that can go into the oven) over medium heat. Add onion and garlic and sauté until tender (5-7 minutes).Drain the hearts of palm and shred using your hands or a knife. 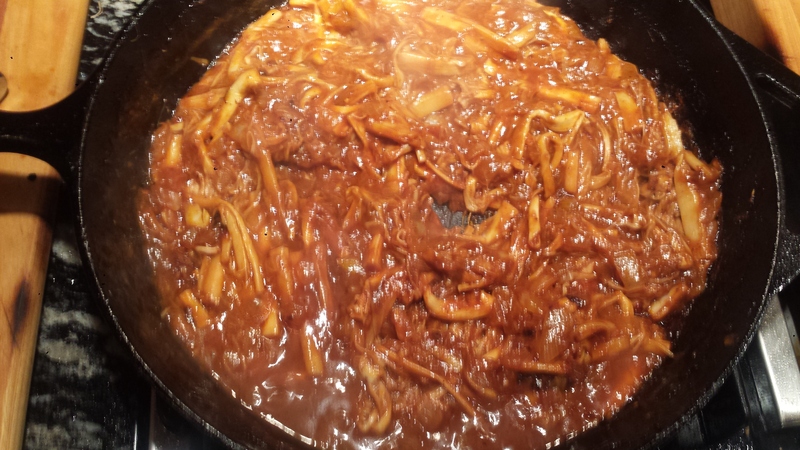 If making homemade sauce, combine barbecue sauce ingredients in a small bowl. Start with only one tablespoon of brown sugar. Taste and adjust seasonings. Stir the barbecue sauce and one cup vegetable broth (or water)into the hearts of palm mixture. Cover and simmer for 20-25 minutes or until tender, stirring occasionally to get the browned bits off the bottom. You can use a wooden spoon to break up the hearts of palm a bit more. If it gets dry add water or vegetable broth.